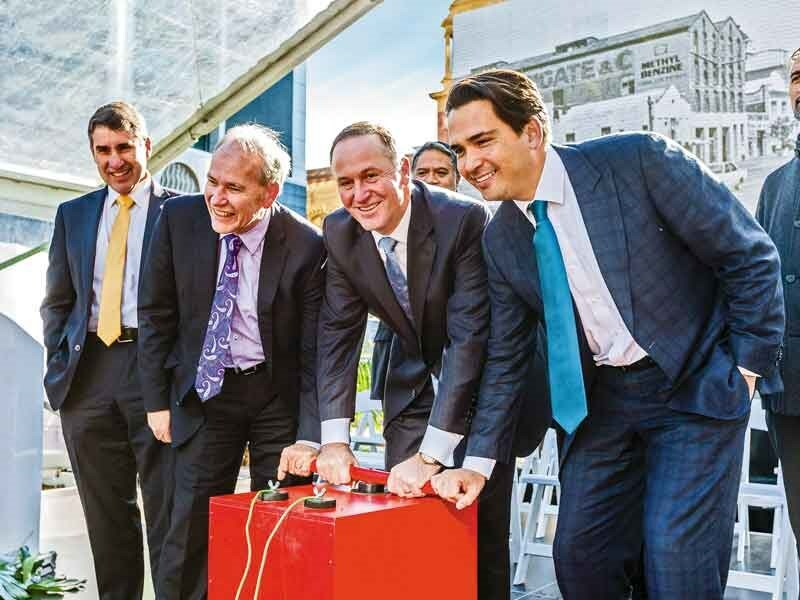 When in June 2016, an explosion—albeit a tiny one—officially marked the start of the construction of the City Rail Link (CRL) at the Britomart Train Station, a new milestone was achieved in the history of Auckland transport. Fast forward to 2018, and today, when you walk down Albert Street, you can see the future of the city’s transport taking shape. 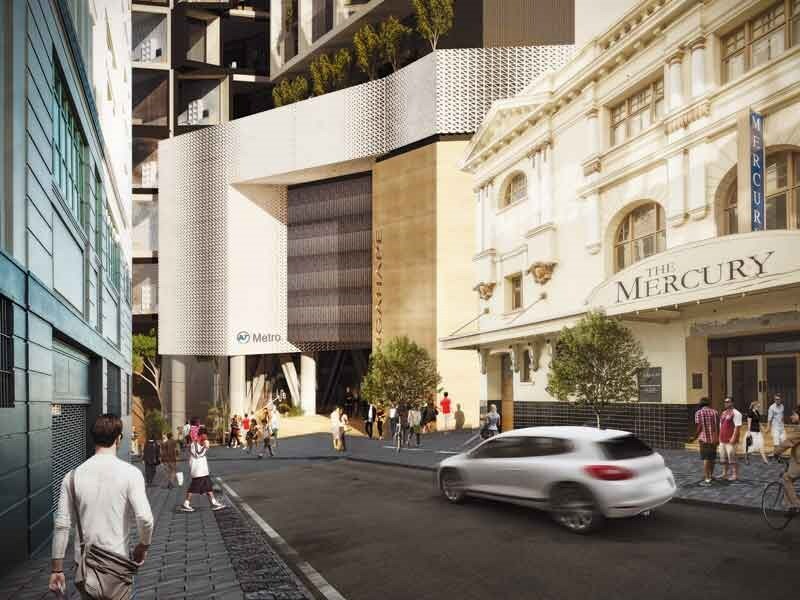 The CRL is the first big step towards building a sustainable public transport network in the city and it’s a big step. But not many know what goes on below the ground. The government has been toying with the idea of constructing a City Rail Link for almost a century. This goes back to the early 1920s when the then Railways Minister Gordon Coates supported the plan to build Morningside Deviation—an underground rail link between the city (a station near Auckland Town Hall) and Morningside. But the estimated cost of £400,000 (approx. NZD 766,340 today) was enough for the project to be scrapped. 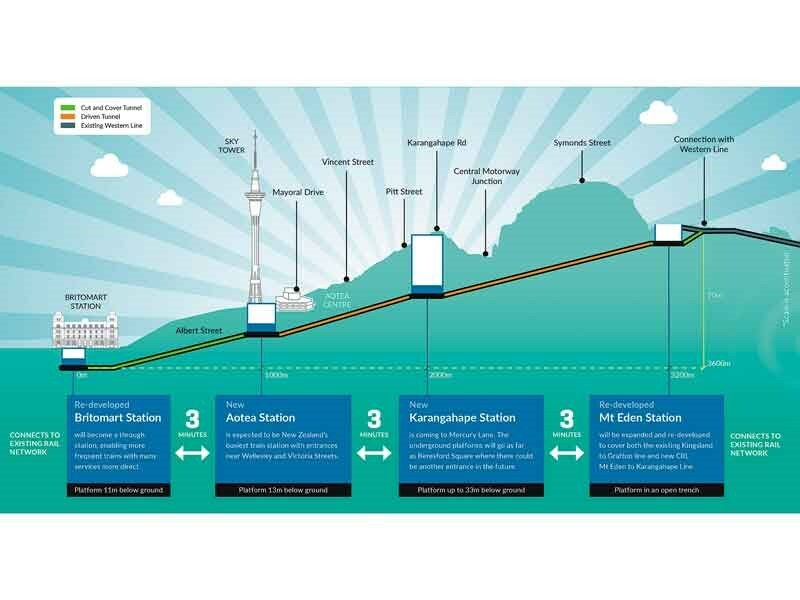 More than a decade later, a rail plan refining the Morningside Deviation was released that looked at electrifying Auckland rail along with developing an underground rail. But not much was done, at least for Auckland; Wellington’s rail was electrified though. With a looming election in 1949, the government looked at delivering its promise of electrification as soon as it would deem it practical but the plans were again put to a halt in 1954. The next year didn’t look promising as well. Auckland City Council announced its interest in building motorways and a Master Transportation Plan was ordered to decide whether there was a need for motorways or railways. And we know how that ended; railways was pushed to the backseat. In 1970, Mayor Sir Dove-Myer Robinson’s rapid rail project met the same fate. It wasn’t until 2003 when rail was brought back into the heart of the city with the opening of the Britomart Train Station. Post that, new stations (such as Newmarket) and new lines (such as the Onehunga Line) became operational. The same year also saw Auckland Council’s Transport Committee consider the construction of an underground rail link. But it wasn’t for another seven years before a case was put forth by the then Mayor Len Brown. What followed was years of independent reviews, deciding on the budget, and identifying the route. The work on CRL began in June 2016, following which the government came on-board to fund the project jointly. 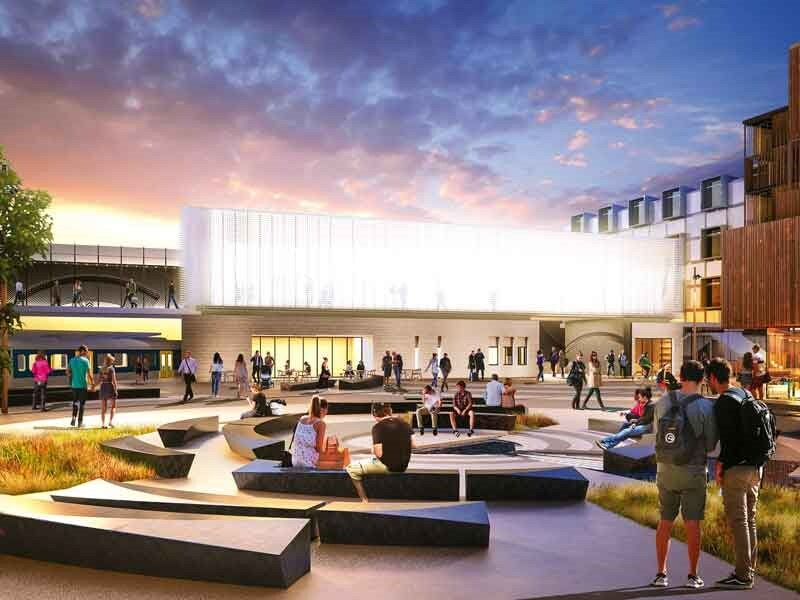 Auckland Council and the Government signed a Heads of Agreement to fund the CRL, and City Rail Link Limited (CRLL)—a Crown entity that has full governance, operational, and financial responsibility for the CRL—was established to deliver the project. Transport is critical in shaping the country’s fastest growing city. The current transport system, which is heavily reliant on the road network, is facing huge constraints, such as the traffic congestion frequently seen on motorways and buses running on full capacity. With a dead end at Britomart, the rail line’s carrying capacity is limited to 15,000 per hour. 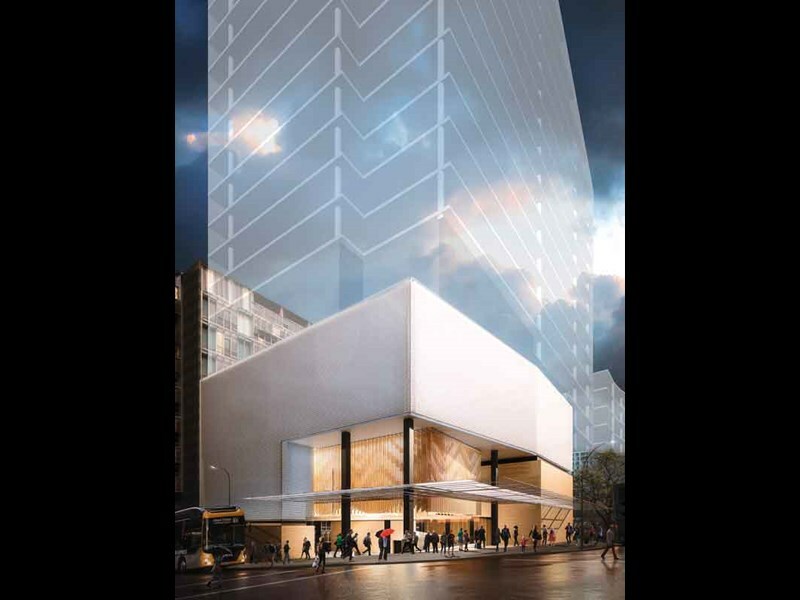 The CRL unlocks Britomart, turning it from a terminus station to a through station, and thus doubling its carrying capacity during peak hours. Compare that to our single-lane motorways that can carry only 2400 per hour. Auckland’s population has grown by 700,000 people in less than 25 years, and the current population is expected to increase by one million people by 2051. This will create a huge demand for public transport in the region. When the construction of the CRL was initiated, two main construction methods were proposed: tunnelling using a Tunnel Boring Machine (TBM) and cut-and-cover. For the uninitiated, cut-and-cover is a construction method where a trench is dug into the ground and the surface is then covered by a concrete deck. This will be seen near the Mt Eden station and along Albert Street (started in July 2017). The main construction area will be adjacent to New North Road from where a tunnel will be bored (using a TBM) to Mayoral Drive. Albert Street is where all the action is currently taking place. 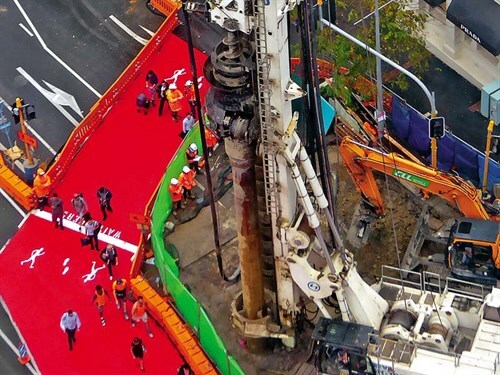 Soon after the construction was kicked off, Auckland saw the arrival of one of the world’s biggest pilling machines—the Soilmec SR 100, which was shipped from Italy and would be used to drill tunnel piles to about 20 metres. This nine-storey-high (29 metres) pilling rig named ‘Gomer’ started its work on Albert Street in November 2016. By April of the following year, the last of the 362 piles were dug. Simultaneously, the TBM was at work, excavating and installing a new storm water main 18 metres under the same street. 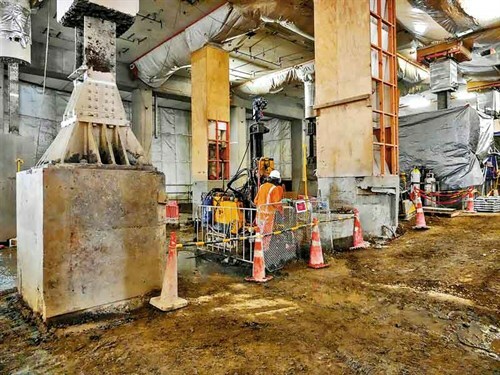 The bulk excavation work for the cut-and-cover tunnels started in July, which involved digging 18 metres below the ground and constructing the tunnels with a cast concrete. 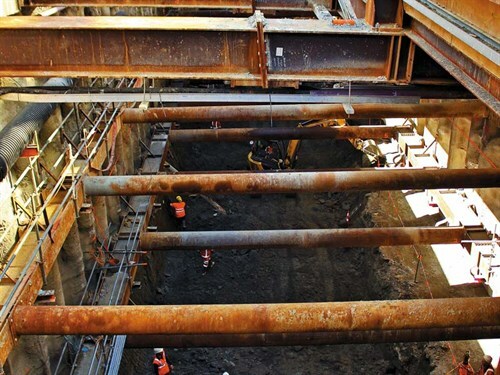 This 18-metre depth was reached in November, and work was under way to remove the 100-year-old storm water pipe before the construction of the CRL tunnel box. And by mid-February this year, the construction of Albert Street trench was started. For a construction project of this scale, different machines play key roles in the process. 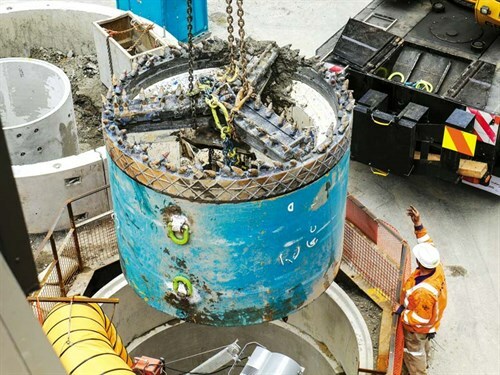 Apart from the arrival of Gomer during the early stages, Valerie—a two-metre-wide tunnel boring machine—was used to excavate and install a new storm water pipe under Albert Street. 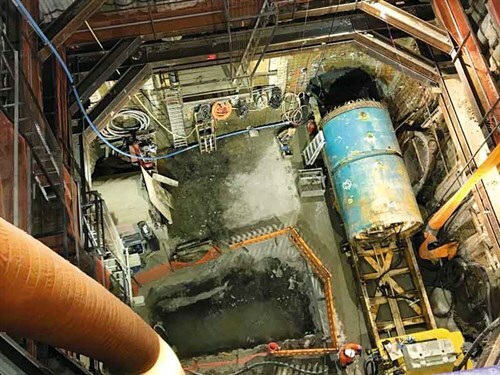 It started tunnelling and pipe jacking from Victoria Street, travelled 290 metres before arriving at the Swanson Street shaft, and then moved in the opposite direction, covering another 200 metres. Another rig that’s been playing an important role in the CRL story is the 90-tonne compact hydrofraise pilling rig named Sandrine. 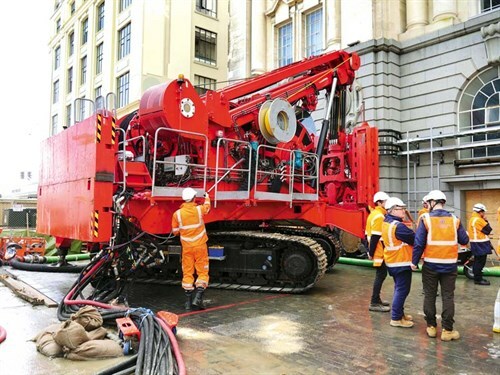 The big red beast has built 15- to 20-metre-deep diaphragm walls—a continuous wall constructed through a narrow trench—under Lower Queen Street to form the structural support for the Chief Post Office building and the tunnel box. The Harbour Bridge, the cycleway, the Waterview Connection—Auckland’s transport has been undergoing a transformation for many years. 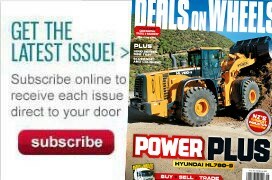 It’s all aimed at better connectivity. These projects opened up different parts of the city. The Harbour Bridge, for instance, gave people easier access to North Shore, and the Waterview tunnel reduced the travel time to central city.Such projects come with a hefty price tag—in this case, $3.4 billion—and naysayers will always question the dollars invested in the project. But like our Ed points out, it may be costly but it will never been cheaper than it is today.